Description New Price! CARFAX One-Owner. Clean CARFAX. Certified. 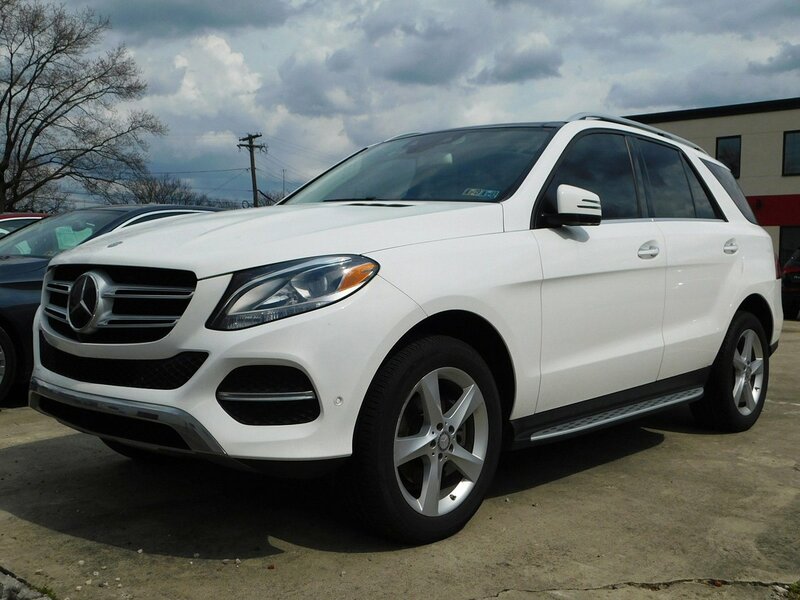 Polar White 2016 Mercedes-Benz GLE GLE 350 4MATIC® 4MATIC® 7-Speed Automatic 3.5L V6 DOHC 24V *MERCEDES-BENZ CERTIFIED PRE-OWNED VEHICLE, *1 OWNER-CLEAN CARFAX REPORT, *HEATED FRONT SEATS, *REARVIEW CAMERA, *P01 PREMIUM 1 PACKAGE, *HEATED STEERING WHEEL, *TRAILER HITCH, *SMARTPHONE INTEGRATION, *PANORAMA SUNROOF, *HARMAN/KARDON SURROUND SOUND SYSTEM, *BRUSHED ALUMINUM RUNNING BOARDS, *DRIVER ASSISTANCE PACKAGE, PARKING ASSIST PACKAGE.